I just started working with a branding coach, Brand id Strategic Partners. I am so excited! Jennifer Ransaw-Smith–the owner and coach du jour of Brand id–is someone I admire and have been wanting to work with for years, so even though she’s asked me some tough questions, given me lots to think about, and even more to do–I am pumped and ready for the challenge. And you all–my readers–shall reap the benefits. As part of my ‘research’ for this whole thing called blogging (the reason I started working with Jennifer; to figure out where this is going, how to get there, etc. ), I went on a field trip, yesterday. 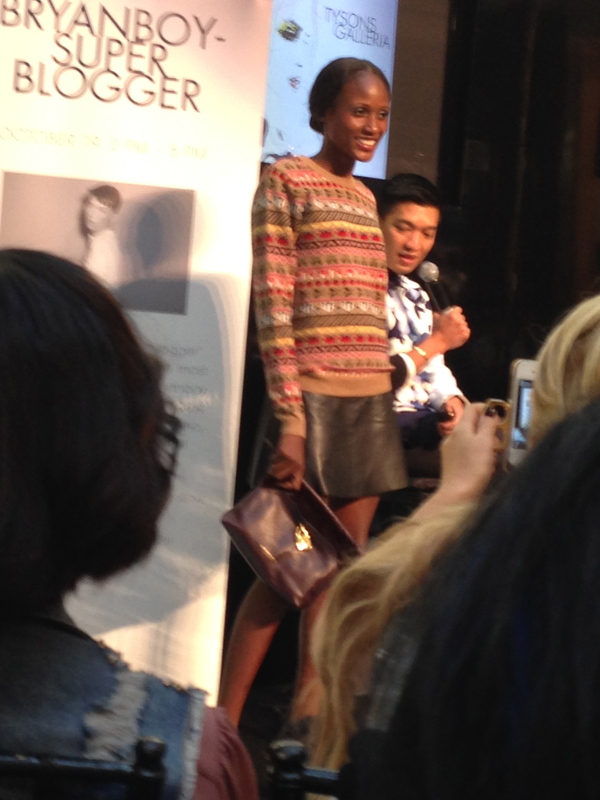 Thanks to my Twitter feed I found out that BryanBoy was going to be at Tyson’s Galleria–a mere 1-hour drive from me! And for those that may not know, BryanBoy is the most ultimate fashion blogger! BryanBoy has been blogging since 2005, almost 10 years. I’m not sure I even realized what a blog was back then. 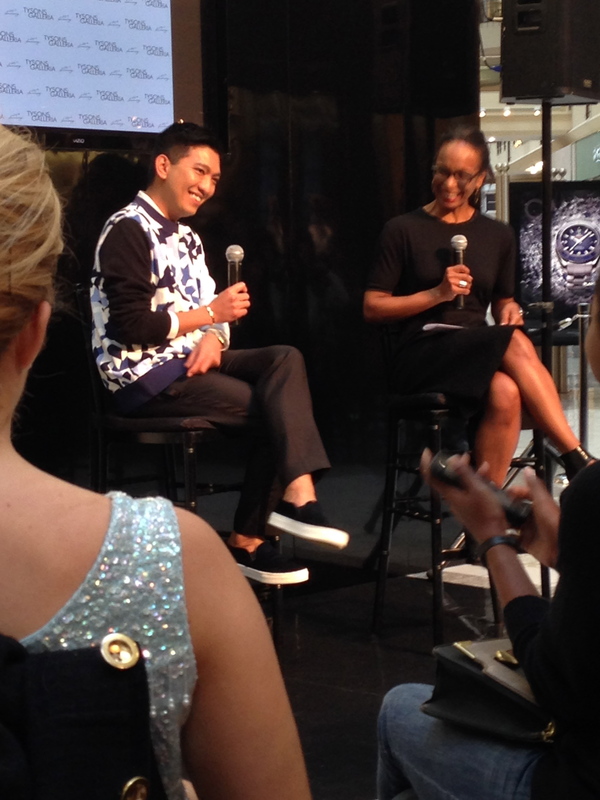 To top off the experience, he was interviewed by Robin Givhan, a Pulitzer Prize winning fashion critic. So while this wasn’t exactly part of my homework from Jennifer, I’m sure she’ll agree it was invaluable. BryanBoy answered tough questions from Robin, showed different styles he had put together from Mulberry and Burberry for the season, and then took audience questions. 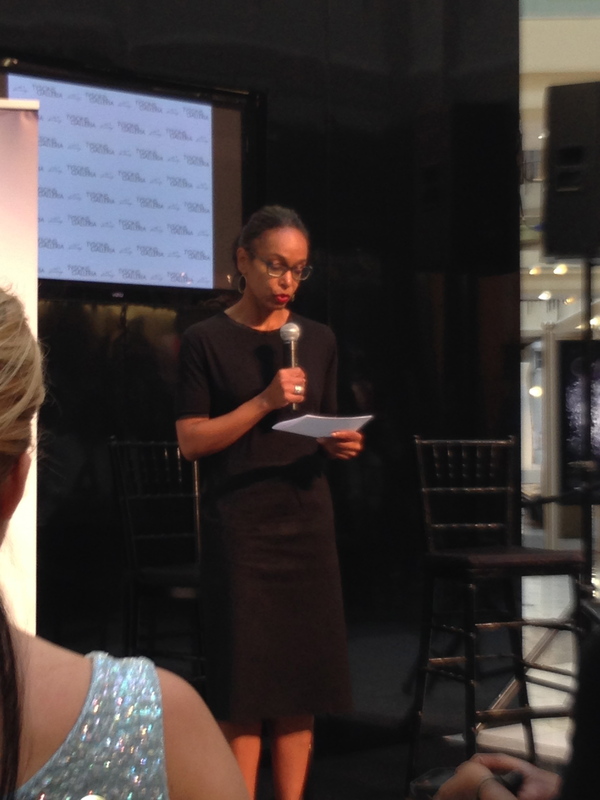 Oh, I would be remiss is if I didn’t mention who managed the event– Aba Kwawu of the Aba Agency–and it was awesome! Just the right amount of time and style. From the black chiavari chairs to the reception where asparagus wrapped in shaved beef was served, it was perfect. And it was free. Tidbits from the Q&A: BryanBoy still considers himself an outsider in the industry. He only blogs about things he loves; however, if he has a bad experience, he will be vocal about it on Twitter. He started his blog as a travel blog and it evolved from there. He’s never had a ‘day-job,’ before blogging he was a freelance web developer. Some of the people in the industry he loves and respects are Rumi Neely (FashionToast) and Scott Schuman (The Sartorialist). And one of the things he said that has really made me think is, his blog was born of him doing something he loved, sharing his opinion and stories about his life, wanting to make people smile, and it evolved organically, ultimately, with companies coming to him. What an inspiring story and experience–though I will say, I was grossly under-dressed. As my Accountability Partner always says, I may have found ‘my people.’ Stay tuned!